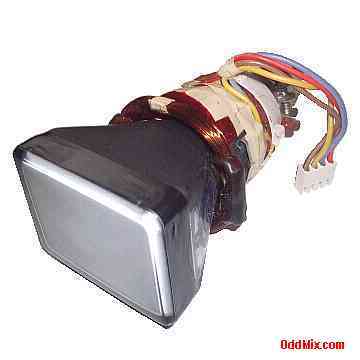 This is a flat face Toshiba E2787PDW Cathode Ray Tube (CRT) oscillograph type, magnetic deflection. This tube is useful to construct oscilloscopes, miniature TV sets, radar scopes, laboratory measuring instruments and other home electronics project which require a visual display. This tube is a hard to find replacement for amateur or commercial built measuring devices. First come first serve only one available!